I had the privilege of attending college with one of my best friends. During that first year of nursing school we roomed together in the dorms. Some of my best memories of those days were the moments that we labeled as “Candle Talks”. When one of us needed a “candle talk”, we would take it seriously and be fully present for the other. We thoughtfully put all of our other distractions away. Then, we would sit on our dorm room floor, dim the lights, light a candle or two, and just talk – typically for hours. Those moments were essential, meaningful, and needed. We would lay it all out – sharing what was bringing us joy or sadness, knowing we could ask and give each other advice if needed or wanted, feeling free to tell each other our secrets, and also our sins. It seemed as if there was plenty of those to discuss. The most special thing about it was that as friends, we were there for each other to listen and provide an environment that was safe. We could say anything without fear of judgment from the other. Looking back, those times were the best and I always felt blessed. While this is not going to be a confession of all my sins post, I do want you to know that I hold my fair share of them. I suspect the same is for you. A lot has happened in life since those college days and talks. Experience can be the best teacher and life has taught me many things. I’m older, wiser, and as a result, I try to do a better job at the choices I make in life. However, what about the times when we mess up? What about those times when we say things, do things, think things, or react in such a way that is wrong? What about those times when we start to follow more of our own desires and push that voice of godly conscious away? Those times happen friends. Daily. If you are Pharisee enough to think that you are better than this, I pray you take a sharper look at your inner self and re-examine. Recently, a girlfriend and I were sitting inside of my van on her driveway. We had just attended something tough together and when I went to drop her off, instead of jumping right out and on to her next event, we sat and talked. We got deep into a conversation about life – that night mainly how hard it can be and despite how “good” we think we are, how easy it can be to stray from the path that we know we should stay on. In the midst of that conversation, she shared with me a story that made me smile. She said that recently she went to get groceries. While in the bakery isle she picked up a container of 3 frosted brownies. Thinking she would just take a small bite of one while doing the rest of her shopping, before she knew it, all three brownies were gone. When she arrived at the checkout lane, she looked at the cashier and said, “Please don’t judge me”, handed the cashier an empty container of brownies and admitted that she ate all three while shopping. Graciously, the cashier smiled, laughed, and told her that she would probably have done the exact same thing. Isn’t that what life can be like for all of us from time to time? What starts off as good intentions might easily turn into something that we never meant for the outcome to be? Sometimes, that outcome might be small and just affect us – as in eating too many brownies. 🙂 Other times, it can be more serious. It extends beyond us and those we love feel the affects too. The thing I have to remind myself, and what I want to remind you as well, is that God can use anything in our lives, even our biggest mistakes and failures, to carry out His plan and purpose. If we take them to the Lord in godly conviction, we can be rest assured that we are forgiven and that He can use it. Nothing is wasted when it is brought before our Lord and in fact, we will be blessed by it. 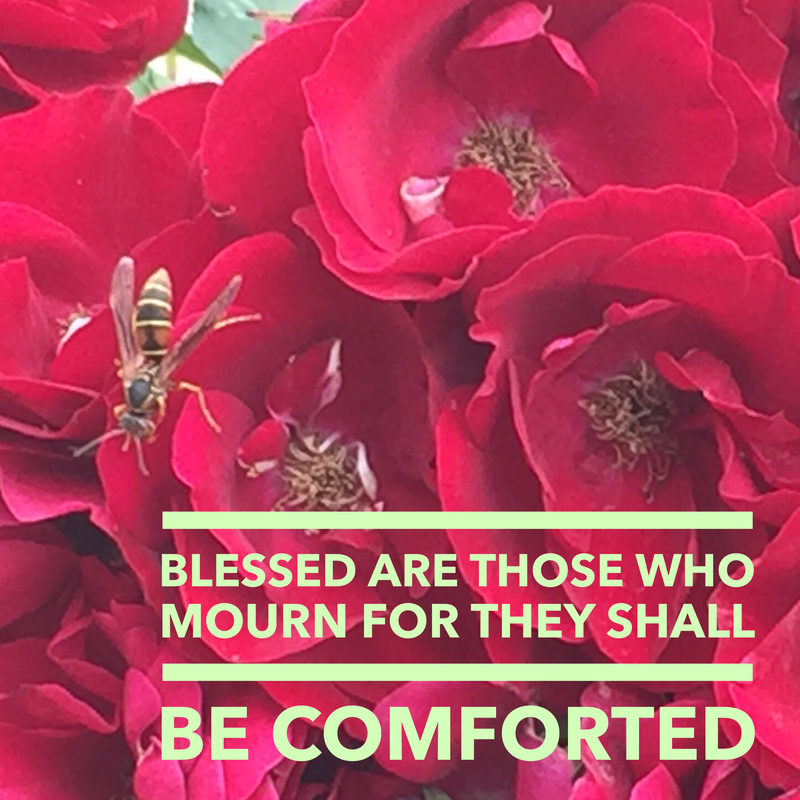 I think many people who read this verse think only of those who are grieving a loved one who has passed away and receive hope of given comfort. What about looking at it in a slightly different way? I believe it is also referring to someone who is mourning the sins they have committed. The moment that godly conviction causes us to bow our heads and bring our struggles and sins before the Lord, it is then that comfort will be provided. We can rise up, having confidence that we are forgiven by the power in the blood of Jesus. The truth is, we are all going to stray from the right path in life. We will do things, think things, say things that we didn’t mean to do. We don’t need to experience the pressure to measure up in life or feel as if we have to do everything perfect because we never will. What we need to do however is to acknowledge our sins and bring them before our God. It is written in John 15:9, “As the Father has loved me, so have I loved you. Now remain in my love.” God loves you no matter what! Abide, remain and dwell in it for that is what He desires. If you are feeling down today over choices that you have made, words that you have said, or are having undesirable thoughts, please know that you are loved and that there is comfort waiting for you. 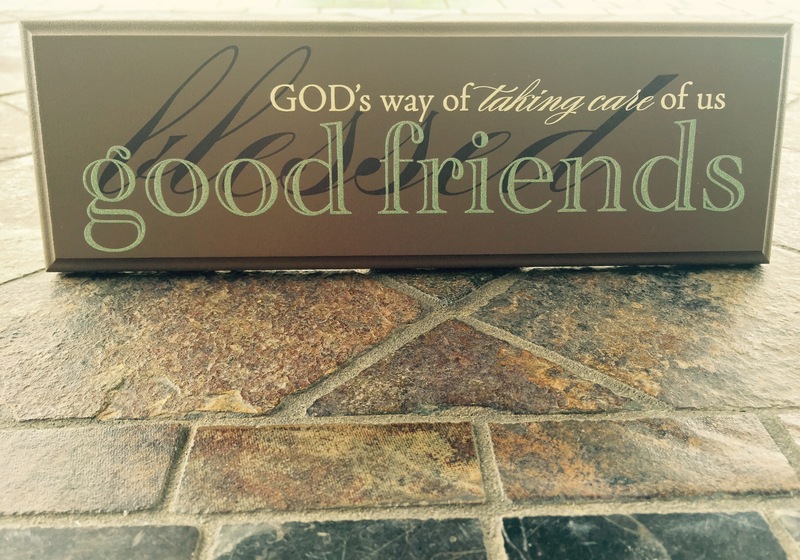 I am thrilled that God created us for a desire to have relationships with friends in this world. Each one brings their own special purpose and a way to bless. As I have found time and time again, when you have a trust and honesty that goes beyond the surface, one of those special purposes and blessings is to have someone to get profound and hash life over with, to speak without fear of judgment, to get advice from, to grow with, to comfort, to encourage, and to remind us of His love. Whether you sit in a room with a candle flickering in the background, in a van on the driveway, at a coffee shop, or wherever it might be…may you feel and experience the love and comfort from Christ in this way as well.